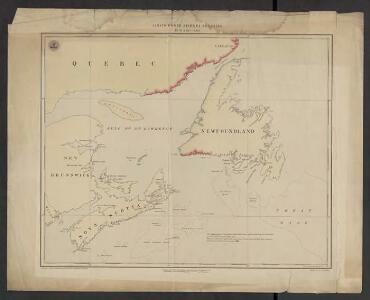 Newfoundland, Nova Scotia, And New Brunswick. Newfoundland Nova Scotia And New Brunswick. 1 : 5800000 Schonberg & Co.